My research focuses on the molecular underpinnings of adrenocortical growth in development and cancer. My laboratory's goals are to characterize the adrenocortical stem/progenitor cell population and elucidate how altered regulation of these cells contributes to adrenocortical disease, namely hypoplasias, dysplasias and cancer. Most of the research is carried out by talented graduate students in the laboratory who often obtain positions on University training grants. To date, I have mentored fifteen (15) Ph.D students including three (3) M.D., Ph.D candidates who have obtained their Ph.D. under my direction, two (2) University of Padova medical students who have performed or are currently performing their medical thesis in my laboratory. 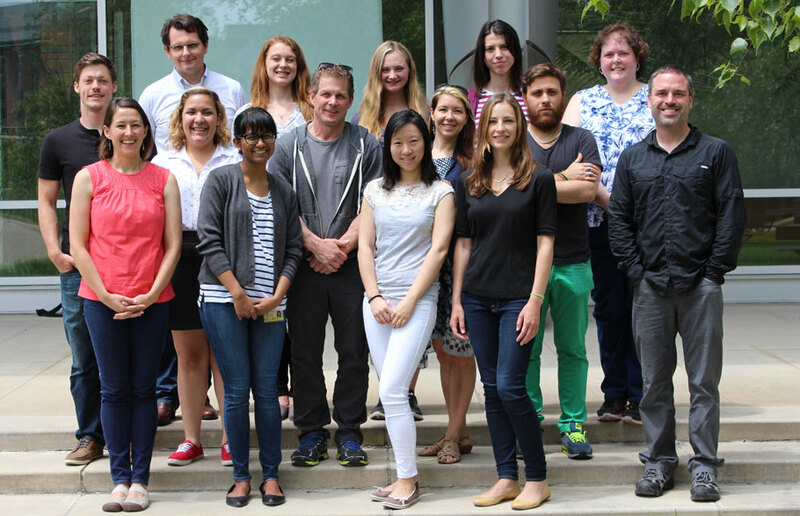 Fifteen (15) postdoctoral fellows have received training in my lab. In addition, I have served on forty-two (42) thesis committees for Ph.D. students across the UM campus and served on four (4) Faculty Development committees for junior faculty. The Hammer laboratory is a sought after lab for students because of the unique mix of basic and clinic personnel that provides an ideal training ground for graduate students looking for exposure to medical research. My current lab consists of two (2) grad students, two (2) postdoctoral fellows, two (2) research investigators, and one (1) visiting medical student from Italy. I hold weekly lab meetings; I meet individually with each member of my lab weekly or bi-weekly as needed. The lab is currently looking for graduate students and future postdocs. For information on specific projects, please inquire here!